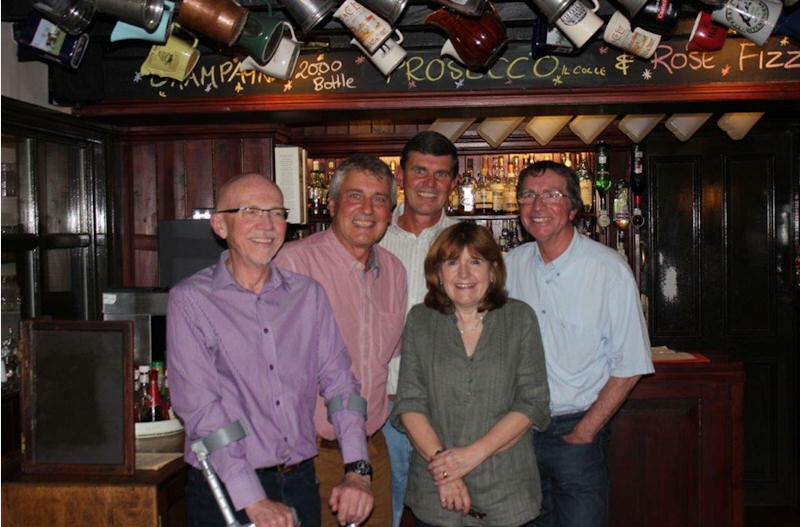 Nicola Keatley (now Howard), Alan Bridges, Adrian Marfleet, Simon Marfleet and Philip Wade at The Artichoke, Broome, Suffolk on 4th October 2013. The food was delicious and the beer excellent. Well worth a visit to Nicola and John's, great hosts of a great pub!